We are absolutely fizzing with excitement at Grape Escapes! With lots of interest in the Prosecco region, we have been hard at work developing some tantalising tours for you all to discover the bubbles of Italy, and we are now delighted to be able to launch these, available for travel mid-week and weekends throughout the year. With the delights of Venice just over an hour away, guests can combine a romantic or cultural break with a fascinating fizzy wine tour. Our Essential and Exclusive Prosecco wine tours are in fact based in the city itself, but we are also happy to arrange tailor-made trips, based in the scenic vineyards surrounding Venice. 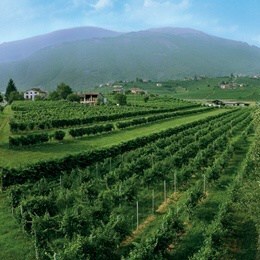 and valleys, and not forgetting the pretty Prosecco towns of Valdobbiadene and Vittorio Veneto. It is important to point out that the term ‘Prosecco’ actually applies to the wine made here, as opposed to the geographical location itself, which is the Veneto region. 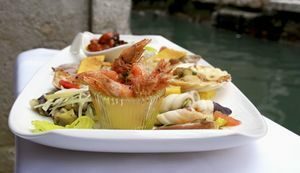 Based in the romantic and picturesque city of Venice, this tour gives you the opportunity to have a taste of Venetian culture as well as enjoying an introduction to the Prosecco wines. Start your trip in style with afternoon tea at the iconic Caffè Florian in Saint Mark’s Square. The three day break offers you the opportunity to enjoy a full day guided and transported tour, visiting two excellent wineries as well as seeing some of the stunning sights of the region. During the course of the day you will explore the stunning Conegliano-Valdobbiadene area, and you will witness the unique bubble-making process. For those travelling on the four day break, the chance to discover the gastronomic delights of Venice awaits, and a particular highlight will be the gondola cruise down the Grand Canal, a truly enchanting experience! 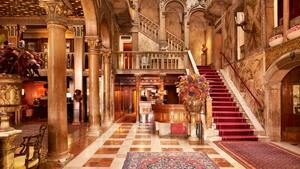 Spend four days in Venice in a sumptuous 5* setting, and benefit from a spectacular saving of 20% from the standard package price of our Exclusive Venice break! This exceptional experience welcomes guests to enjoy the delights of Venice, and to discover the fizzy wines of the region on a private basis. 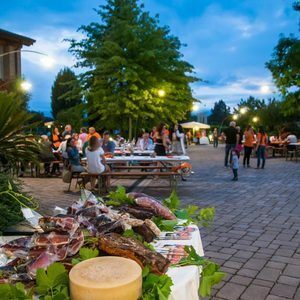 You will be invited to feast on a fabulous picnic of local specialities at a Prosecco winery, overlooking the stunning surrounding vineyards. Other highlights include a private gondola cruise with a bottle of Prosecco and authentic Venetian canapés, and the opportunity to dine at a top Michelin-starred restaurant in the city centre! This offer is valid for mid-week travel (arrival on Sunday, Monday or Tuesday) in April or between 17th July and 30th August, when booked on or before 09/03/16.